Through a partnership between R3 Safety and Rescue and Red One Limited, the trading company of Devon & Somerset Fire and Rescue Service Academy, the delivery of this course combines R3 Safety and Rescue's technical background with the extensive operational flood management experience that Devon and Somerset FRS have developed over recent years. This course is designed for individuals who may be required to undertake the role of Incident Commander at a water or flood incident or act as an advisor to operational or tactical command, or to strategic command when the incident is limited to Local Resillience Forum response. An understanding of the Incident Command System when applied to water and flood incidents. An understanding of the Flood Rescue National Enhancement Project Concept of Operations. An understanding of Local Resilience Forum Emergency Flood plans and local capability register. An awareness of the unique challenges of a multi-agency flood response, issues of primacy and quality assurance of teams. An understanding of water related dynamic risk assessment and how this impacts on the incident command system, including liason with responding crews. 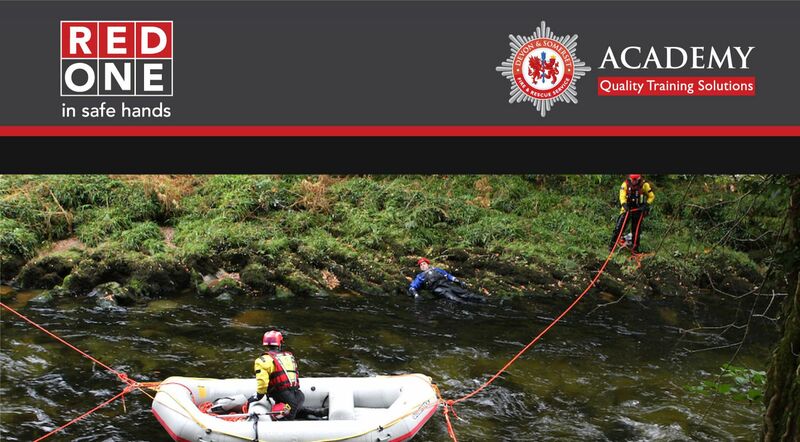 An understanding of the water rescue training guidance modules and the associated capabilities of the personnel. An understanding of specific water incident issues including; specialist operator skillls, welfare, crew rotation, de-contamination, communications plans and emergency procedures. An awareness of search management techniques for rivers and floods. An awareness of rescue and evacuation techniques used by teams. An understanding of Flood Management commonalities such as; accessing and interpreting weather and flood warnings, flood warning schemes, multi-agency working, rainfalll prediction. flood deployment of crews. An awareness of water rescue policies, SOP's etc and their limitations. Practical experience of the inland moving water environment. Undertaken a multi-phase table-top flood management exercise. We are able to offer dates for this course in partnership with Devon and Somerset Fire and Rescue Service. The fee per delegate is £1100.00 plus VAT. Please enter the names and email addresses of the people that are to attend the course. If there are any special requirements please fill them in too. Please confirm the people that will be attending.